Lush jungles, picturesque beaches, magical sunsets, family-friendly amenities - Phuket is a destination with wide-ranging appeal, drawing in family vacationers, honeymooners, couples and more. 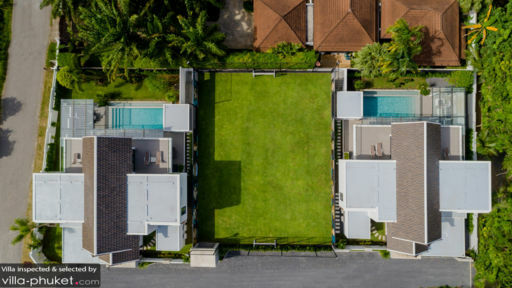 An unforgettable experience awaits at your Phuket villa: glimmering pools, ocean views, impeccable service and stylish living spaces complete with Thai accents are essentials you’ll find across our properties. 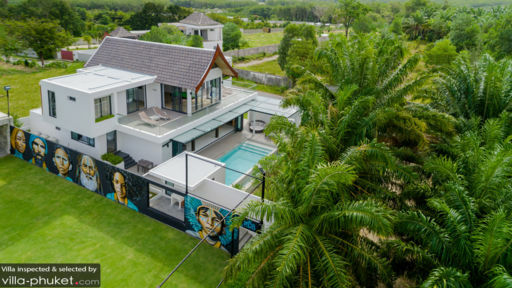 There’s a whole host of in-villa experiences - like private dining, spa treatments and yoga classes - that can be arranged, so there won’t be any need for stepping out. Our extensive selection of holiday homes ensures that there’s something for every vacationer, whether you’re on a romantic getaway, travelling with kids or planning a corporate retreat. Along the west coast are some of Phuket’s most popular destinations: Patong, Bang Tao, Kamala, Surin, Kata and Karon. Offering beautiful beachfront villas, a great selection of dining and lifestyle venues, postcard-pretty sunsets and easy access to tourist attractions, it’s easy to see why these coastal towns are a hit with vacationers. When you aren’t soaking up the breezy Phuket vibes by the sea, go sightseeing, explore the night markets, try your hand at cooking your favourite local dishes or unwind at the spa. Places that come with our recommendations include Kamala Night Market, Spa by Paresa and Kata Thai Cooking Class. And then there are the must-see attractions, such as the island’s iconic landmark - the Big Buddha - as well as Wat Chalong and Old Phuket Town. Moving southwards to Nai Harn, Rawai and Chalong, you’ll discern a shift in the vibes and way of life; here, it’s more laidback, and life takes on a slower, unhurried pace. Sit back and relax at your villa or by the beach if that’s how you like to unwind, but there’s also plenty else to do. Take a tour of the Chalong Bay Rum Distillery (cocktail making lessons are available too), visit the bohemian enclave of Phuket Art Village, take in sweeping vistas from Windmill Viewpoint or hop onto a speedboat for a day trip out to Coral Island. Cape Yamu and Cape Panwa are the main destinations in East Phuket. Home to luxury properties and vacation homes, seafront restos, upscale establishments and private beaches, the region feels secluded and exclusive - but you’re also just an easy drive away from a variety of attractions and local amenities. Hanuman World, Phuket Trickeye Museum and Baan Teelanka offer a great family experience. Nature and wildlife lovers will enjoy exploring Phang Nga Bay, Rang Yai Island, Bang Pae Waterfall or the Phuket Elephant Sanctuary. Take a drive northwards across the Sarasin Bridge and you’ll wind up in Natai or Phang Nga. Phang Nga is both a coastal province and town, and boasts a stunning landscape featuring waterfalls, mountains, islands and rivers. The destination is home to myriad attractions, but we’re just naming out a few highlights, like Ao Phang-nga National Park, Phung Chung Cave, Wat Suwan Kuha and Samet Nangshe Viewpoint. 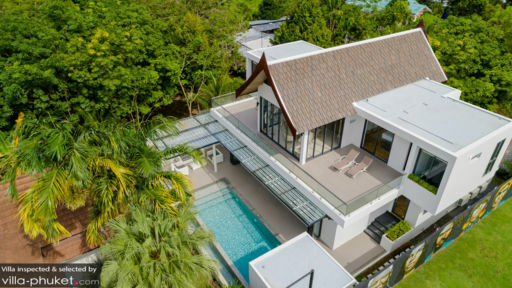 It’s not too far of a drive out to Phang Nga is you’re residing in North Phuket, but residing in Natai allows for easier accessibility. The latter also offers serenity, crowd-free shores and unspoilt surroundings - all the essentials that make up a restful getaway. Further down is Krabi and Koh Lanta. Both are beautiful beach paradise and perfect for nature lovers. It is quieter and less crowded but still have many attractions around for a fun-filled trip.